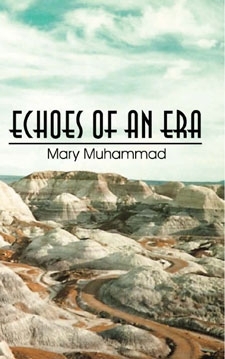 An interview I conducted with Mary Muhammad, author of Echoes of an Era, which was published by PublishAmerica, as well as Hugs and Kisses and The Story Box, published by Lulu.com. 1. Can you give us brief summaries of Echoes of an Era, Hugs and Kisses, and The Story Box? Echoes of an Era is a book of prose from different Eras in my life. It may also be many who can relate with the poems it contains.Hugs and Kisses is a book really for parents to use as a tool to speak to their children or any child about sexual abuse, and The Story Box is a book of short stories filled with adventure, mystery and magic written for children. The time it took to write each book? Echoes of an Era I started at sixteen and completed just this past year, where Hugs and Kisses and The Story Box were both completed in a month's time each. 3. What kind of research did you do for any of your books? Hugs and Kisses was written with research. It's heart wrenching that sixty percent of children are abused by family members and forty percent of them are abused by older or larger children. The authors who inspired me the most was Maya Angelou and Laurence Dunbar. 5. Do you keep a strict writing schedule? My writing schedule starts around 9 and go on for two hours, then it's stop and go the rest of the day as ideas come to me. My favorite books are "Rhythm Of My Soul" by Leigha Hoffner, Succeeding Against The Odds, by John H. Johnson, Gifted Hands by Ben Carson, These Eyes by Jonny Bodley just to name a few. 8. What would you like your readers to know about you? I'd like my readers to know that I'm a writer that keeps all in mind. I like to give something to everyone. I'm now working on a book for young adults which is more a romance, something I'm trying for the first time. And another book of poetry. I hope to have them completed by spring of this year. What I would tell aspiring writers is if you have a goal don't be deferred from it. We all have been blessed with special qualities and if theirs is writing then dig deep and let your heart speak it. For more information, see Mary's website at www.marysbookplace.com.